Software as a service (SaaS) is a promising service model of cloud computing. Its key characteristic is the ability for clients to use a software application on a pay-as-you-go subscription basis. To be economically sustainable, a SaaS application must be multitenant. However, it is generally agreed that designing a multitenant enterprise application in SaaS environments is a non-trival task. 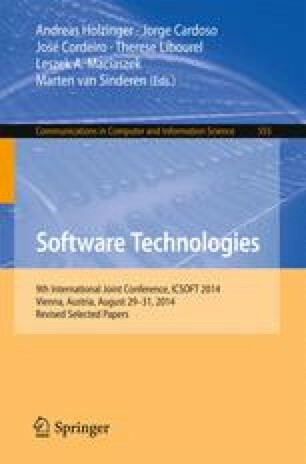 In this work, we propose an integrated service middleware that addresses cross-cutting concerns when developing and deploying multitenant enterprise SaaS applications. To verify the feasibility of our approach, a sample SaaS application have been implemented on the proposed middleware. Also, two tenant-specific virtual applications are constructed to demonstrate multi-tenancy. Finally, a series of performance evaluations are conducted to assess the overheads of making an enterprise application multitenant enabled. This work is sponsored by Ministry of Science and Technology, Taiwan, under grant 103-2221-E-004-005, 103-2221-E-004-018, and 103-2218-E-004-001.